This book about the church’s mission in Canada today is beginning to get attention. The Anglican Journal (national newspaper of the Anglican Church in Canada) published an extract in its April edition, and The Banner (magazine of the Christian Reformed Church in North America) featured on its front page an extract from John Bowen’s chapter, Why Mission? Why now? Why here? Bishops of the Anglican Church in Canada also received copies at their recent meeting in Niagara Falls, Ontario. John P. Bowen brings together voices from across the ecumenical landscape in Canada. Some voices resonate with a kind of familiarity, others are new to me. By setting the historical context, framing the challenges, and offering possible directions, these essays are a valuable resource for the Church in Canada at a time when clear perspectives are needed. 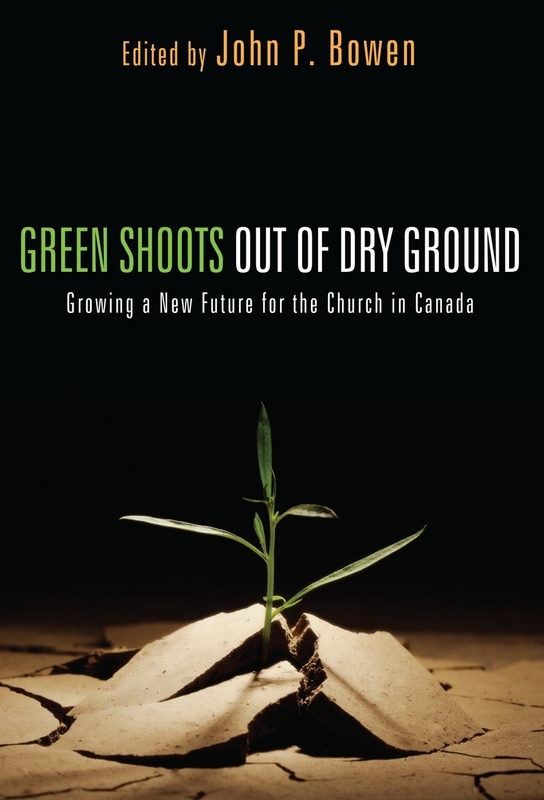 I appreciated how these essays were illuminated by real stories from a wide range of churches across Canada. These “Green Shoots” give us hope and encouragement – excellent snapshots worthy of sharing. Although not all of the essays will connect with our individual or contextual circumstances, I am sure that church leaders and pastors will find this a timely resource. Even more than that, I hope that this book will connect church leaders and build bridges. And—finally—for those interested, the e-book (Kindle edition) version of Green Shoots is now available from Amazon. The price is $9.99, compared with $28.42 for the paperback! Judith Purdell-Lewis joined the Institute as a part-time Administrative Assistant to the Director in September 2008. She lives in Hamilton and attends the Church of St. John the Evangelist.